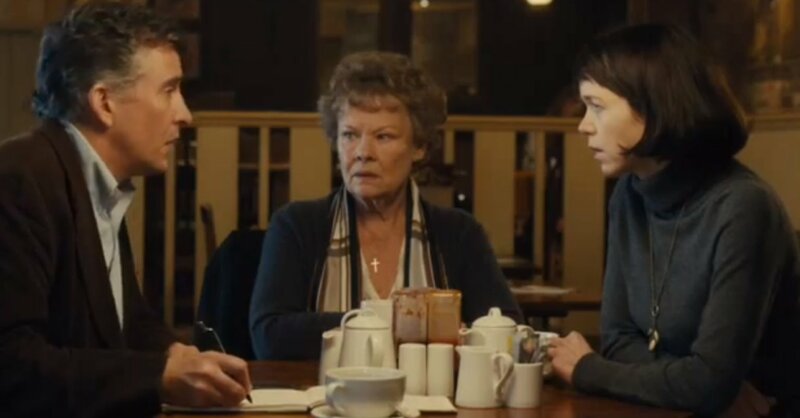 Based on a true story, Philomena seems to be a movie that’s best to go into blind. I knew the leads were played by stars Judi Dench and Steve Coogan, and that the highly decorated director Stephen Frears helmed the project. But besides that, I was clueless, and anxious to see what would unfold before me. This is a fantastic film, and although the director doesn’t create as much emotion as I would have hoped for, it still evokes a tone of belief and a dogged persistence in hope. At times it feels like a harsh critique on the Catholic church, and at others it praises faith, humanity, and trust in God. It’s the story of two people coming together for a common cause, and reveals that different mindsets can clash and coalesce at the same time. Martin Sixsmith (Steve Coogan of Our Idiot Brother and The Trip) has recently lost his job as a Government adviser. He says it will give him time to write a book on Russian history. But when approached by Philomena’s daughter at a party, he contemplates taking this human interest story. Martin is a jaded man with no particular religious denomination. He says, “A human interest story is a euphemism for stories about weak-minded, vulnerable, ignorant people, to fill in newspapers read by vulnerable, weak-minded, ignorant people.” The piece comes up in conversation with his wife, and we don’t hear what she tells him to do. Instead, we see his action as he arrives to meet with Philomena. It’s great direction. Philomena Lee is a hopeful person, the kind that refuses to see the bad in anyone, even if they have purposefully intended to hurt her. She is superstitious and grandmotherly in ways that people can relate to. Her story revolves around seeking her long lost son Anthony. Philomena became pregnant at a young age, and after having her child was forced to work at the abbey for four years to pay off her stay. Martin does some digging and discovers that many of the children from the abbey were shipped off to American families for money. And that is where their journey begins. Off to America the typical odd couple goes. This is an ongoing story about a story that has already been written, and Philomena can only hope for a happier ending than the one she has imagined. She says, “I’d like to know if Anthony thought of me, cause I’ve thought of him every day.” The movie is at times lighthearted and at others painful. Underneath it all lies two people ultimately searching for a sense of wholeness in their lives. 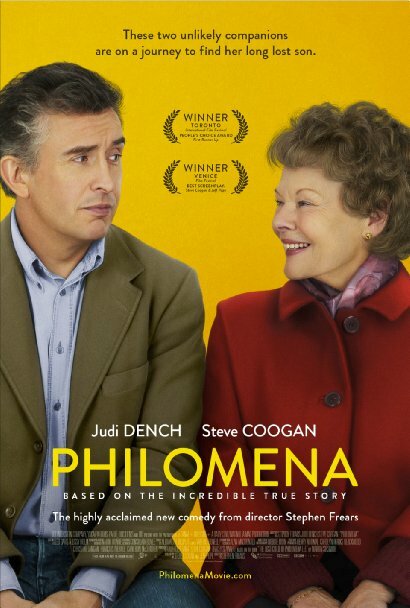 For Philomena it is the uncertainty of her son and if he’s alright, while Martin’s revolves around salvaging his career. We see both of them praying, even if Martin does so reluctantly. They’re the answers to eachother’s prayers. Neither tries to change the other person. It’s a shared journey to solve a mystery fifty years in the making. I rarely think this, but the movie should have been longer. The beginning is rushed and doesn’t establish the setting or time as well as it needs to be, especially since those two elements are so crucial to the story. However, Frears’ direction salvages the movie. It’s smart, low-key, and doesn’t waste any time on unnecessary exposition. I’m unfamiliar with how true to real life the script holds, but it’s well-written and full of humor. 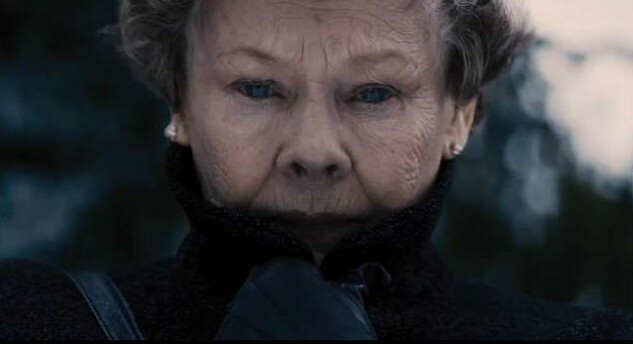 Judi Dench is remarkable and amplifies the character of Philomena, but despite all her talent, some of the dialogue feels contrived. She’s funny and memorable throughout. Yet, her acting in the harsh and brutal moments of the movie almost makes the cheery scenes look like child’s play. It’s a small complaint about an otherwise excellent film. The story hit home a little bit for me whilst watching it. Having had an English Grandmother who lost her first son at a young age, I was reminded of all the times she would talk about him. And the script stays true to everything I saw growing up. 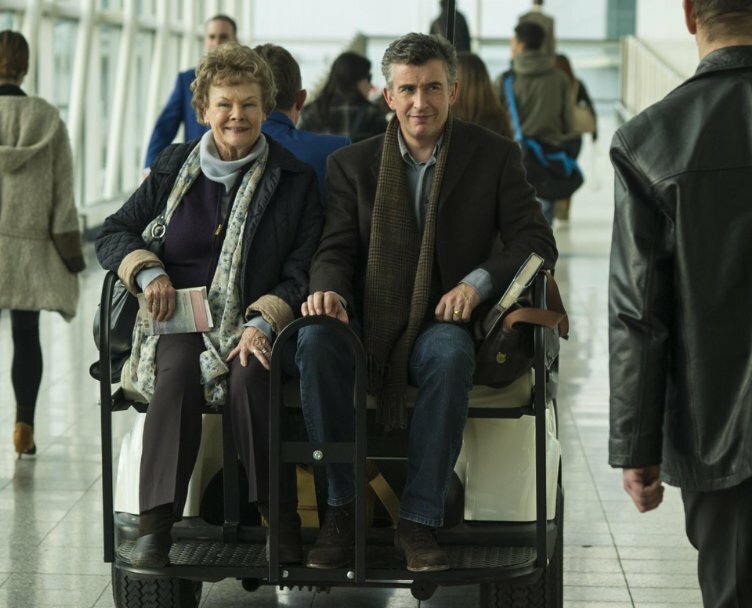 Whether it was taking bundles of snacks for a road trip, making jokes about a film on the telly, or the unwavering conviction in her faith, this portrayal of Philomena Lee feels real. The third act takes surprising twists and turns which come full circle. We learn of terrible actions taken against Philomena. Nevertheless, she is forgiving, even if Martin says he can’t be. I wouldn’t call it one of the best movies of the year, but I did find myself smiling once it had finished. After all, how often does that happen?